George Bryan was born in Dublin, Ireland, where he spent his first twenty years. In 1752 he came to Philadelphia to take his place in a trading partnership arranged by his father with Philadelphia merchant James Wallace. Although the partnership did not last long, Bryan went on to be quite successful as a merchant, as an importer and exporter, and in the retail business. In 1757 he married Elizabeth Smith; they had a family of ten children. As an active Presbyterian, Bryan in the late 1750s and early 1760s played a role in trying to hold together two factions that had emerged during the Great Awakening. This struggle led him into provincial politics where he fought the proprietors and the strong Quaker faction that sought to make Pennsylvania a royal colony. When the Stamp Act was passed in 1765, Bryan’s attention turned from provincial issues to ones of empire. He took a role in resisting the oppressive act by joining other Philadelphia merchants in signing the Non-Importation Agreement to resist the Stamp act and Townshend Duties. This action likely contributed to his bankruptcy in 1771. Bad health kept Bryan out of the public light during the early 1770s, but after Pennsylvania drafted and adopted a new state constitution in 1776, he became an advocate of the radical unicameral government. In the new government, Bryan served from 1777-1779 as vice president of the Supreme Executive Council (the equivalent of lieutenant-governor). During this period, he focused much of his effort on mobilizing the state’s resources to combat Tory and Indian harassment of settlers on the frontier, most of whom were Presbyterian. He also pushed for emancipation of all slaves in Pennsylvania, which subsequently served as a model for gradual emancipation in all of the northern colonies. He felt that in a new nation devoted to personal freedoms, slavery was a moral disgrace. This is his most enduring legacy. In the later 1780s he fought earnestly against the federal constitution and a new state constitution advocating a bicameral legislature and a single executive. He lost both these fights, but continued to press for small, uncomplicated government that was directly responsible and responsive to the people. Although many of his political aims were not realized, Bryan played a useful and important part in shaping the United States and Pennsylvania. Bryan was just ending his term as vice president of Pennsylvania’s Supreme Executive Council when the College of Philadelphia was placed under the jurisdiction of the trustees of the University of the State of Pennsylvania. 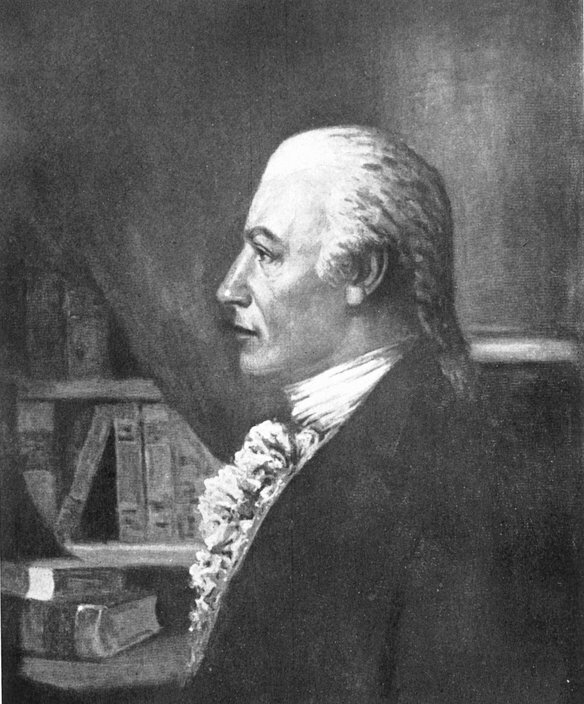 He may have initially participated on this board of trustees in an ex officio capacity, but after he stepped down from the Supreme Executive Council, Bryan was appointed a trustee of the University of the State of Pennsylvania (now the University of Pennsylvania) in 1779 and served until his death in 1791. He acted as treasurer of this board from 1779 to 1788.